Stretch out and be heard with the all-new G9110-L A.E. 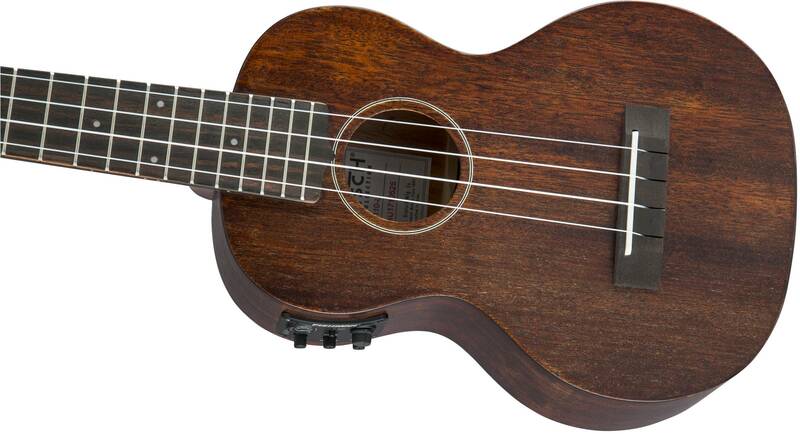 Concert Long-Neck Ukulele, which features a long scale and an onboard Fishman® Kula pickup/preamp system. 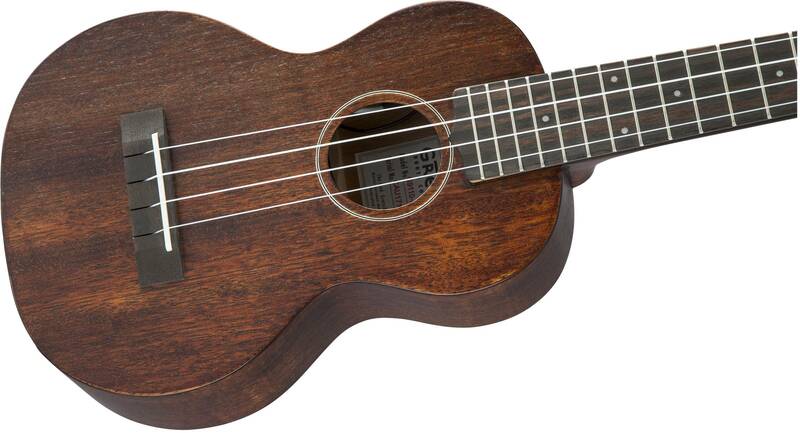 Most popular for its delicate tone, the concert-size body is now available with a 17"-scale and tenor mahogany neck that provide two more inches of string length and two more frets clear of the body for even better tone and even more room in the upper register. 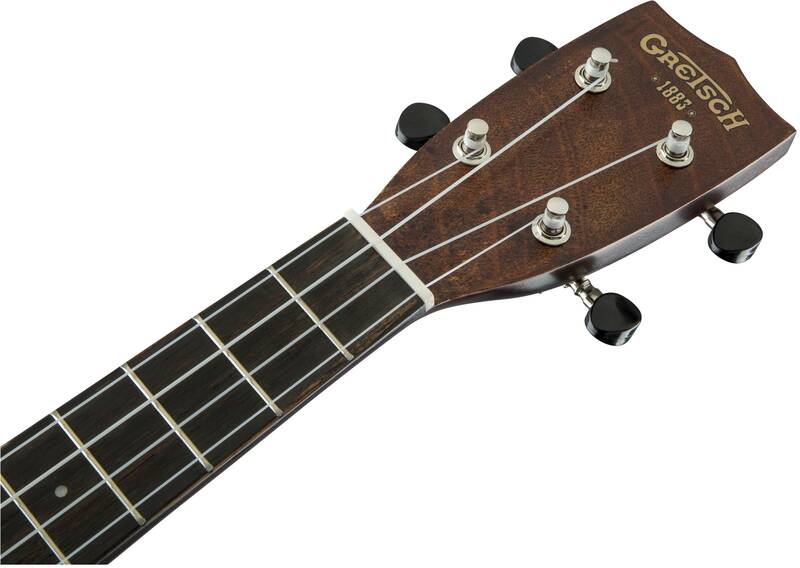 Other features include a mahogany top, back and sides, an ovangkol fingerboard and bridge, a bone nut and saddle, open-back geared tuners and Aquila® Nylgut® strings. The G9100-L A.E. 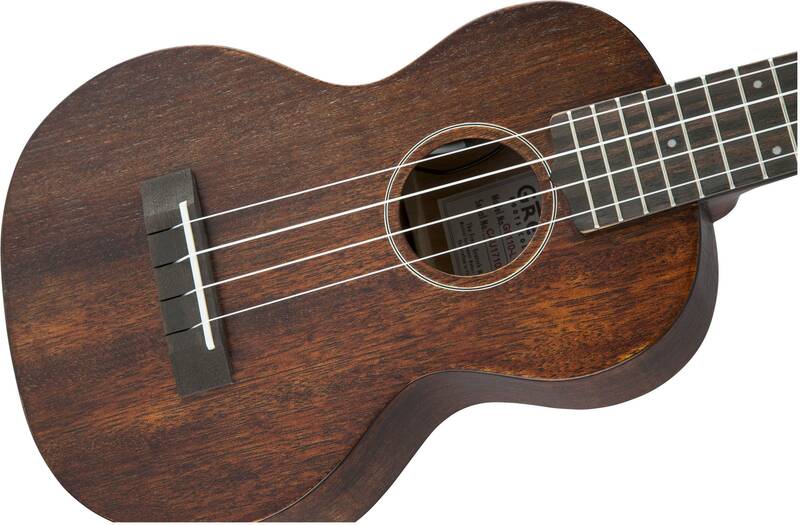 boasts an organic vibe with its "open-pore" semi-gloss Vintage Mahogany Stain finish, and comes in a fitted gig bag.